Athletic women around the world are losing their periods due to exercise and energy imbalances. This is an issue that’s on the rise and I cannot understand why it hasn’t been addressed. Some girls are losing their period at very young ages, starting from just three to five workouts per week. Generally, this condition starts to happen as a result of both intense exercise and a restrictive diet. It’s not uncommon either for those who are involved in fitness to cut back on portion sizes and certain foods. In fact, female athletes do this either because they’re trying to stay lean to compete or to maintain the ‘athletic build’ they think they need to maintain. Therefore, extreme weight loss often occurs leaving these ladies with very little body fat, which may cause disturbances to a women’s menstrual cycle. The problem seems to be that many fit girls and women are simply ignoring the problem because they couldn’t be phased about missing a couple of periods. However, what they’re unaware of is the long-term effects it can have on your overall health. The absence of your period is known as Amenorrhea. While the name might sound a little foreign, it is actually a really common problem, which doctors usually associate with professional athletes. 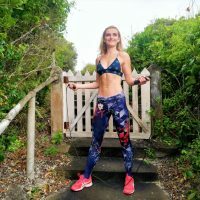 Unfortunately, a lot of people assume that not getting your period is a sign of being ultra-fit and that your body is adapting to high levels of exercise. In certain cases, this can also happen as a result of an eating disorders. 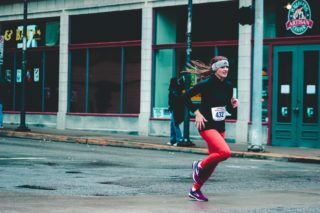 Nancy Williams, the professor of kinesiology and physiology at Penn State University says signs of menstrual dysfunction occur in as many as 60 percent of recreational athletes. However, everyday women are just as susceptible to losing their periods. Nicola Rinaldi, author of ‘No Period. Now What?’ found a wide range of exercise frequency and intensity among women who’ve lost their periods. This includes women who exercise three to four days a week for less than an hour and women who don’t exercise at all. This was a survey that consisted of over 300 women. Sometimes the doctors struggle to establish the exact cause of the problem. Moreover, the issue becomes more confusing when your body mass index (BMI) says that you are a healthy weight for your frame. How Does Exercise Cause Irregular Periods? Usually, women who experience this condition might experience elevated liver enzymes, blood sugar, and cholesterol levels. This is an indication that something is wrong in your body. According to doctors, the cause generally boils down to female athletes that are not fueling their bodies properly. Therefore, the body reacts by going into starvation mode, slowing down your metabolism and conserving energy. Sometimes it’s as simple as going out of your way to gain weight and the period automatically returns. Intense exercise is not necessarily the main reason for a period to stop. It’s the mismatch between energy consumed and energy used, resulting in what’s called low energy availability. And it’s not necessarily because of expending high amounts of energy either. Instead, it’s when an athletes exercise expenditure causes them to tap into energy they need to run their body’s daily processes. What does this mean for athletic women? It means that your hypothalamus (a region in your brain), slows or stops the release of the hormones that control ovulation. Researchers have discovered that reducing calories by 470 to 810 a day compared to baseline needs over as few as three menstrual cycles is enough to disturb a woman’s cycle. What might affect one athletic woman might not affect the other. That is why there is no real no gold standard test. Every person has their own internal set point. Therefore, what one woman chooses to eat and how she exercises might be fine for her, but not necessarily for someone else. However, when low energy occurs in the body it doesn’t necessarily mean its because you’re not eating. In fact, energy deficiencies can occur due to dietary changes or restriction, exercise, stress, or a combination of these factors. Interestingly, the exercise you do doesn’t necessarily have to be intense either for this to happen. Some women have gone from zero exercise to 90 minutes of yoga per day and have experienced missed periods. Therefore, it can affect anybody. Those super lean athletic women you are envisioning, are not the only ones. Plain and simple. A woman is healthy when she gets her periods regularly. If you are not, then there is a problem and you need to seek medical care. Do not perpetuate the situation until it gets worse, by ignoring it. Okay, I get it. The thought of not getting your period sounds quite tempting, because – let’s face it – having your period is a bit of a hassle. However, doctors say that your menstrual cycle is a clear indication that you have healthy bones. And just like your heart rate or pulse, your period can offer a glimpse into what’s happening inside your body. It’s a sure sign that your body’s processes are happening smoothly. In addition, if your cycles are getting longer or shorter and even stopping, it can be a sign of estrogen deficiency. This can then affect fertility later on. Amenorrhea is also a component of the female athlete triad. This condition involves three interrelated conditions including; energy availability, menstrual function, and bone mineral density. This condition has been linked with cardiovascular health, resulting in endothelial dysfunction and higher cholesterol levels. Therefore, there is a close connection between bone health and your menstrual cycle. And if you’re not getting it then there are reasons to be concerned. Doctors say that women (and men) reach their highest bone density between the ages of 20 and 30. From then onwards, you maintain what you have and begin to lose bone as part of the ageing process. Weak bones can then leave you at a much higher risk of getting injured. These injuries might consist of stress fractures, in your back, pelvis, and heel bone. You’re also susceptible to early diagnosis of osteopenia and osteoporosis. How Do You Know If You’ve Got Amenorrhea? Athletic women need to keep track of their cycles. It doesn’t matter whether you use a calendar or an app, just be sure to track it! Doctors recommend taking note of how often you get your period, how long it is, and your flow. According to research, your full cycle should be normal length, between 26 and 36 days. And there should be a decent amount of bleeding for two to three days at the beginning of the cycle. However, if you notice less bleeding or fewer days of bleeding, or if you have nine or fewer periods a year, see your doctor. Watch out for injuries too! If you’ve recently experienced random injuries like stress fractures or other bone stress injuries then take head. You may also feel cold or have a lower resting heart rate due to reduced metabolism. The body begins to compensate when your metabolism slows down. This is because it is trying to conserve energy from a movement standpoint. This is particularly common with athletic women who exercise intensively and then do very little for the rest of the day. Your doctor will likely conduct a physical exam and lab tests to rule out other possible causes for amenorrhea such as pregnancy, polycyclic ovarian syndrome, or hypothyroidism. The road to healing may not be a quick-fix. It might also be tricky for you to change your routine especially if you’ve been highly active for a long time. However, your health is always more important. Treating the issue is possible, but you may have to make some changes to your behavior. This will give your body the chance to mend itself. Doctors might recommend decreasing exercise and increasing or improving dietary consumption whilst reducing stress. The Endocrine Society’s guidelines recommend working with your doctor, an endocrinologist, a registered dietitian (who can evaluate your caloric needs and create a roadmap toward a balanced level of energy), and a mental health profession (who can help treat any underlying disordered eating or stress and help with behavior change). The road to recovery doesn’t mean you have to change what you enjoy doing forever. Over time you continue training. But you’ll need to reintroduce it slowly. Experts say it takes six months on average for a woman’s period to return. In addition, amenorrhea doesn’t cause irreversible damage to fertility. All it does is cause transient infertility, meaning it’s very possible to get pregnant after your cycle resumes. Athletic women, experiencing these symptoms, do not feel alone. You must seek help because we as, females, need to be more open about it. It might seem difficult to eat more and exercise less, especially if you’re heavily involved in fitness. But, remember, food is fuel, especially when you exercise. More importantly, the more you exercise, the more you need to increase your calories to compensate for that energy expenditure. Ladies, you need to give substance back to the body, to ensure a healthy reproductive system and bone health. Jennifer Aniston is envied for her hair and muscular, fit – but not too skinny body, worldwide. However, she works darn hard to keep it up! The actress always makes healthy eating a priority and opts for fresh, whole foods over restrictive fad diets. Give her zone diet a try!